Hi everyone and -as always- thanks for supporting ML. There's one ML feature I dream about that would make my photoshoots way easier and faster. I love to shoot automotive content with the Canon 85mm @ f/1.2 because it creates on a car the same effect a 50mm f/1.8 creates on a portrait, so I'm sticking at f/1.2. BUT the focused area is obviously too soft at that aperture so my workaround is to take two frames with same exposure but different aperture and then blend them manually in Photoshop. 3. As soon as that picture is taken, ML reads my exposure settings and takes a 2nd picture closing my aperture by three stops and rising the ISO to compensate and achieve the same exposure. Please tell me if I'm not explaining properly. If ML does that automatically on my 6D, I would be happy to make a donation to whoever does this beacuse my work would be much faster. 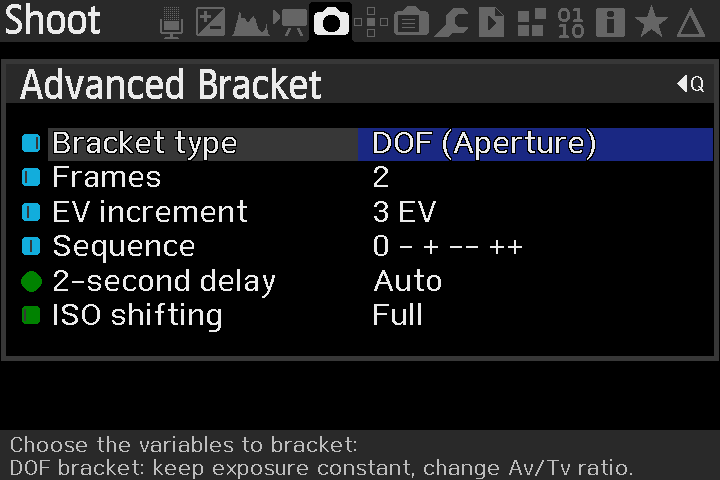 Just out of curiosity: why do you raise the ISO instead of using a slower shutter speed?